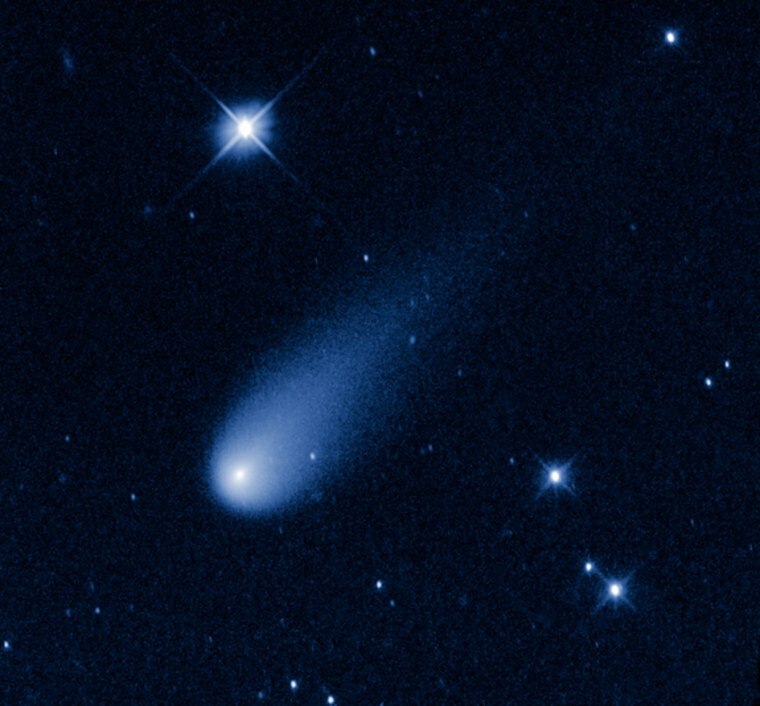 An ambitious one-day mission to observe the potentially dazzling Comet ISON with a telescope dangling from a colossal NASA balloon this weekend has failed due to a mechanical glitch, NASA officials say. The mission, called the Balloon Rapid Response for ISON (BRRISON), lifted off from Fort Sumner, N.M., on Saturday in a bid to make telescope observations of Comet ISON — which some scientists have dubbed as a potential "comet of the century" if brightens on its way into the inner solar system. The telescope-toting balloon aimed to observe the comet from the Earth's upper atmosphere in infrared and ultraviolet/visible wavelengths of light. "The telescope was unable to be redeployed despite numerous attempts by the BRRISON team from the Johns Hopkins University Applied Physics Laboratory, which built BRRISON for NASA," according to a NASA statement after the balloon returned to Earth. The in-flight problem prevented the payload from collecting its much-anticipated photos of Comet ISON. An Interim Response Team was expected to assess the BRRISON payload during recovery operations on Sunday. The BRRISON mission flew on a zero-pressure balloon and was billed as the first NASA Planetary Science Division balloon mission ever aimed at observing a comet. The project cost totaled $11 million, but while a scientific data loss, the gondola-carried payload is in the process of being recovered and should be available for reuse as much as possible on another mission. The fast-paced BRRISON project was sponsored by NASA, The Johns Hopkins University Applied Physics Laboratory (APL) and the Southwest Research Institute. It is one of several projects underway to study Comet ISON in detail during its swing through the inner solar system. Comet ISON — officially designated C/2012 S1 (ISON) — was discovered in September 2012, by Russian amateur astronomers Vitali Nevski and Artyom Novichonok. The comet's pass through the inner solar system has been a major source of anticipation and uncertainty among astronomers. The comet is slated to make its closest approach to the sun on Nov. 28, when it will be about 700,000 miles (1.2 million kilometers) from the sun's surface. If Comet ISON survives the solar close encounter, the comet could flare up brilliantly to become a dazzling object in the night sky. But the comet could also fizzle out or break apart, scientists have warned. Prior to Saturday's balloon liftoff BRRISON team member Eliot Young, a principal scientist at Southwest Research Institute in Boulder, Colo. issued an upbeat message. Young said the late-evening launch was "probably good news for our suite of experiments: it guarantees us night time observations." The winds at 120,000 feet had sped up towards the east, as happens in late September, he said, making flight times short before the payloads reach population centers and have to be terminated. Young noted in his pre-launch message that the evening launch made BRRISON team members change their schedule of observations. "We never expected to observe Comet ISON through sunrise," Young said. "Our sunshade was installed to protect the telescope during afternoon observations of ISON. With the unusual evening launch, we have had to re-orient our sunshade." During its observing trek data gleaned by BRRISON mission was to be recorded onboard and analyzed after landing. In addition to observing Comet ISON, scientists has hoped to have BRRISON observe several other targets during its flight, including views of the Comet Encke, some moons of Jupiter and the water-bearing asteroids 24 Themis and 130 Elektra.